알루미나 제련 부산물을 건조하여 분쇄한 적색분말로 품질이 균일하여 다양한 용도로 사용할 수 있는 무기질 제품입니다. 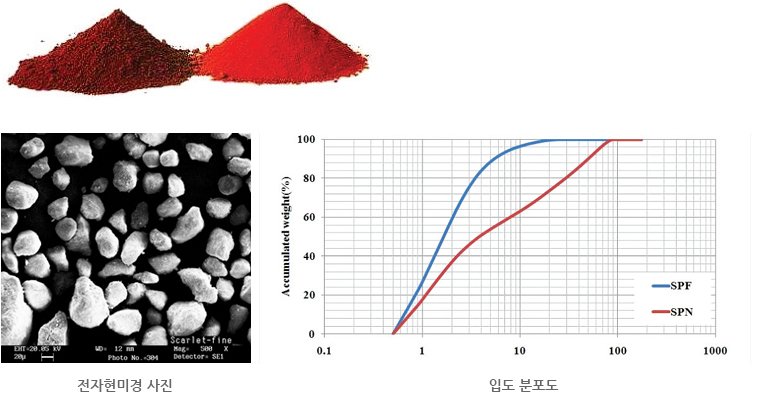 Scarlet is the red powder dehydrated and milled from the by-products of Alumina. It is an inorganic product with the ideal quality for various applications.